For any technical issue, contact the webmaster. 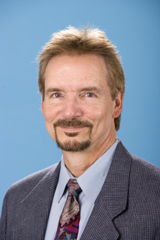 Kenneth D. Mease serves as Professor of Mechanical and Aerospace Engineering at the University of California, Irvine. He received his B.S. from the University of Michigan and his M.S. and Ph.D. from the University of Southern California. He began his career at the Jet Propulsion Laboratory as a Member of the Technical Staff of the Navigation Systems Section. He then served as Assistant Professor of Mechanical and Aerospace Engineering at Princeton University, before joining the faculty of UC Irvine. His research has contributed to the guidance, navigation and control of aircraft and spacecraft, time-scale analysis for nonlinear dynamical systems, and molecular control, and has been sponsored by NASA, the Jet Propulsion Lab, NSF, McDonnell Douglas Corporation, Rockwell International Corporation, and Boeing. He has also consulted and had contracts with Universal Space Lines, Optimal Synthesis, Guided Systems Technologies, and Continuum Dynamics. He is an Associate Editor for the Journal of Optimization Theory and Applications and has previously served as Associate Editor for the AIAA Journal of Guidance, Control, and Dynamics and the AAS Journal of the Astronautical Sciences. He is an Associate Fellow of the AIAA and a Member of SIAM and the SAE Control and Guidance Systems Committee. Equations of motion, linearization, stability derivatives, and longitudinal and lateral modes of motion. Handling qualities, sensors and actuators, and effects of various feedbacks on stability and performance. Command and stability augmentation system design. Linear algebra, including vector spaces, matrices, linear system of equations, and the eigenvalue problem. Scalar and vector field theory. Calculus of variations and optimization. Notions of stability for linear and nonlinear differential equations. Kinematics and dynamics of three-dimensional motions. Lagrange's equations, Newton-Euler equations. Applications include robot systems and spinning satellites. Introduction to the principles and methods of optimal control. Topics include: objectives and issues in controlling nonlinear systems; linear variational and adjoint equations; optimality conditions via variational calculus, maximum principle, and dynamic programming; solution methods; applications to control of robots and aerospace vehicles. Introduction to application of differential geometry in analysis and design of nonlinear control systems. Topics include stable, center, and unstable manifolds of an equilibrium state, nonlinear systems theory, and feedback linearization.